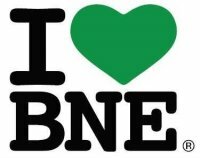 Brisbane City Council's Habitat Brisbane program assists local bushcare groups restore native vegetation in your area. Their efforts improve local parks, creeks and natural areas, and create habitat for Brisbane's unique wildlife. Meeting Point: About 50 metres from the bottom of the set of stairs leading down from Van Dyke Crescent and opposite Palance Court of the bikepath. Working Bee Day and Time: 8:30 am, 3rd Saturday of every month. Our aim is to revegetate remnant bushland along Cabbage Tree Creek and to enchance the habitat for native wildlife, for the benefit of the community. Our objective is to remove a serious environmental weed called cat's claw or Macfadyena unguis-cati. this vine smothers and chokes all objects in it's path. Our group is special because we mix socially as well as at our monthly working bees. The founding members are as enthusiastic now as when the group was formed in 2003. To find out more, contact the local member, Norm Wyndham's office on 3403 7690. For further details about Habitat Brisbane, go to the Brisbane City Council website and search for Habitat Brisbane. The Habitat brisbane program is another way Council is achieving our vision for the city's future.